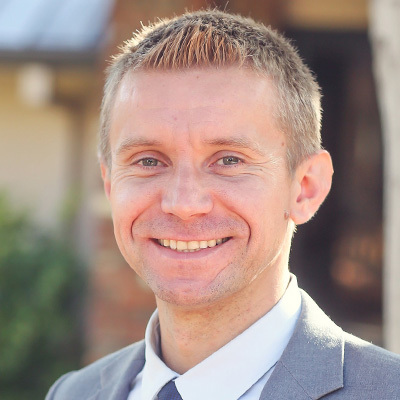 Mark grew up in Russia until 1990, when his family immigrated to Los Angeles and joined Grace Community Church. Having grown up at Grace, it was natural for him to prepare for ministry at The Master's Seminary, where he earned his M.Div. and Th.M. degrees. In 2017, Mark earned his Ph.D. from the University of Edinburgh. Mark joined the church staff in 2007 and currently serves alongside Michael Mahoney in administration and as a staff elder in Crossroads, where he leads the Foundation Bible study.